Since I was a little delayed writing this post, this can be for all you last minute gifters with an Amazon Prime account. As it has been my tradition for the past 4 years, I've been making simple DIY Christmas gifts for friends and family. 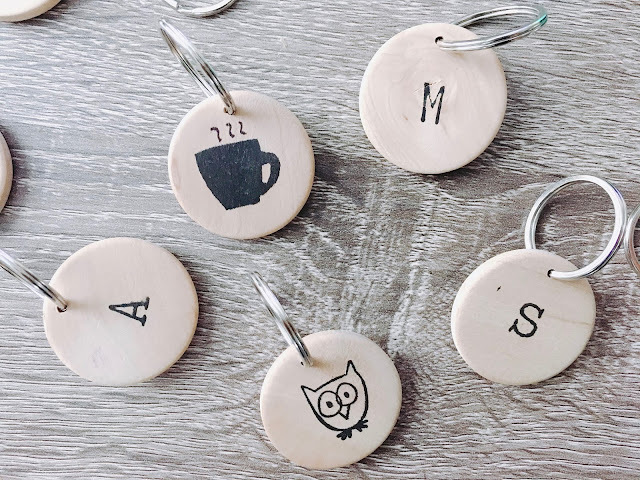 I wanted to find something cute and somewhat practical and when I saw these monogram keychains, I knew I found my Christmas Craft 2016. 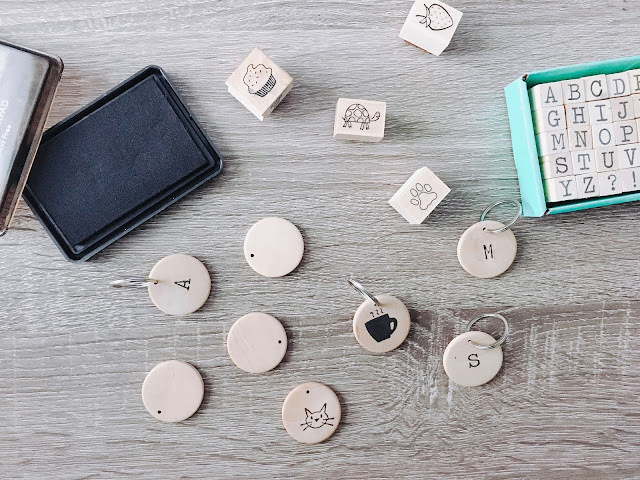 Alphabet stamps, small stamps with images to customize the keychains for friends, an ink pad, 1 inch wood circles with hole and key rings are what you need to fill in your Amazon cart and you'll have it by Christmas Eve Eve if you order today with a prime account. (Any of the Hero Arts stamp sets works well on the 1 inch wooden circles). Or you can save this for a post-Christmas craft to make on a snowy day in or on a lazy day on vacation. 1. Stamp one side of wood circle with the letter and the other side with an image. 2. Add on key ring through hole of the wooden circle. 3. Attach keychain to your keys.